English version - Auch Tiere haben Rechte! 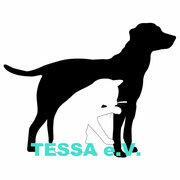 TESSA e.V. ARTICLE 1 - The purpose of this law is to ensure that animals are afforded a comfortable life and receive good and proper treatment, to protect them in the best manner possible from the infliction of pain, suffering and torture, and to prevent all types of cruel treatment. ARTICLE 2 - This Law includes the regulations to be made in line with the purpose article, the precautions to be taken, the coordination, supervision, restrictions and obligations to be imposed and the penal provisions to be enforced. h) Wild animal: means vertebrate and invertebrate animals living freely in nature which have not been domesticated or cultivated. j) Controlled animal: means duly registered house animals and pets which have been adopted by a person, institution, organisation or legal entity and whose care, vaccinations and periodic health check-ups are carried out. a) All animals are born equal and have a right to life within the framework of the provisions of this Law. b) Domesticated animals have the freedom to live according to the living conditions specific to their species. The lives of ownerless animals should be supported in the same way as those of animals with owners. c) The necessary measures must be taken in order to protect, supervise and care for animals and shield them from maltreatment. d) It is a principle that natural persons and legal entities which meet the conditions set forth in this Law and which look after or wish to look after incapacitated or ownerless animals without consideration of any material gain or benefit but rather acting from a sense of humanitarian and conscientious responsibility will be encouraged and coordination in this regard will be ensured. e) It is a principle that endangered species and their natural habitats will be protected. f) It is a principle that wild animals will not be removed from their natural habitats, and animals which are living freely in nature will not be captured and deprived of their freedom. g) In the protection of animals and the facilitation of their welfare, the hygiene, health and safety of humans and other animals must be taken into account. h) It is a principle that animals will be cared for, fed, sheltered and transported under the conditions suited to their species. ı) Those that transport animals or have them transported must do so in a suitable environment and under suitable conditions according to their species and nature, and they must be fed and cared for during transportation. j) It is a principle that local authorities, in cooperation with voluntary organisations, must establish animal shelters and hospitals for the protection of ownerless and incapacitated animals, provide care and treatment for them and carry out educational programmes. k) It is a principle that the owners of cats and dogs being fed and accommodated in communal areas are expected to have them sterilised in order to prevent uncontrolled reproduction. Furthermore, those who wish to breed from the said animals must register all young animals born and are responsible for their care and/or distribution. ARTICLE 5 - A person who participates in a general training program regarding the care of animals and who takes ownership of or looks after an animal is liable for sheltering the animal, meeting their ethological needs in accordance with their species and reproductive methods, taking care of their health and taking all necessary precautions with regard to the health and safety of people, animals and the environment. Animal owners are obliged to take precautionary measures with regard to environmental pollution caused by their animals or danger and disturbance to other people. They must compensate for any damage caused by their failure to take timely and sufficient precautions. Those who sell domestic animals and pets are obliged to take part in certified training programmes arranged by the local authorities in relation to the care and protection of these animals. The conditions for owning and keeping domestic pets or controlled animals, the principles and procedures relating to training to be given in animal welfare and the preventative measures against damage and disturbance caused by domestic animals will be determined in a regulation to be issued by the Ministry in coordination with the Ministry of Agriculture and Rural Affairs, having obtained the opinion of the Ministry of Internal Affairs and related organisations. Unless there is a commercial purpose, a domestic pet being cared for within a house or garden cannot be sequestered due to the debts of their owner. Those who produce and trade in domestic pets are obliged to take precautions in relation to necessary anatomic, physiological and behavioural characteristics in order not to endanger the health of pet owners, the mother selected for reproduction or her young. Domestic pets and controlled animals which will not be able to re-establish harmony with their natural environment cannot be abandoned, and cannot be left where they will be unable to feed or adapt to the climate. However, they can be reclaimed or handed over to an animal shelter. ARTICLE 6 - It is forbidden to kill ownerless or incapacitated animals, apart from the situations set forth in the Animal Health Police Law no. 3285. Incapacitated animals will not be used for any commercial or performance purposes or used for riding or transporting purposes in any manner. Ownerless and incapacitated animals must be brought as quickly as possible to animal shelters established or permitted by the local authorities. These animals will first be held in the observation areas established in these centres. It is a principle that animals that have been sterilised, vaccinated and rehabilitated will be registered and released into the environment that they were taken from. The rounding up of ownerless or incapacitated animals and the operating principles and procedures for animal shelters will be determined in a regulation to be issued by the Ministry, having obtained the opinion of related bodies and organisations. Land owned by the Treasury can be allocated with priority to animal shelters and hospitals. The allocation of land that is found to be used for other purposes will be cancelled. Land, related buildings and stock may be allocated by municipalities, forestry administrations, the Ministry of Finance or the Privatisation Administration to natural persons and legal entities which meet the conditions set forth in this Law and which look after or wish to look after incapacitated or ownerless animals provided that there is no gain or benefit but rather that they are acting from humanitarian and conscientious goals, and also provided that ownership remains with the state. Suitable facilities can be built on the allocated land with the permission of the related Ministry/Administration. ARTICLE 7 - Medical and surgical interventions in animals will only be carried out by veterinary doctors. In order to prevent uncontrolled reproduction, sterilisation interventions will be done without causing the animals pain. ARTICLE 8 - All types of interventions that will wipe out a species of animal are forbidden. It is forbidden to removed or destroy all or a part of the organs or tissues of an animal as long as they are alive, unless it is for medical reasons. It is forbidden to undertake surgical interventions aimed at altering the external appearance of domestic pets or other non-medical treatments such as cutting tails and ears, removing vocal cords and removing nails or teeth. However permission may be granted for these forbidden interventions where a veterinary doctor deems it necessary to make a non-medical intervention for medical reasons related to veterinary procedures or for the good of a particular animal or in order to prevent reproduction. It is forbidden to give an animal hormones or drugs in a manner or dose that will change the nature of his species or ethology, unless it is for medical purposes, to drug an animal with various substances or to artificially alter the behavioural or physical characteristics specific to an animal species. ARTICLE 9 - Animals cannot be used for non-scientific diagnosis, treatment or experiments. ¡It is a principle that only medical and scientific experiments can be carried out, these will be performed in such a manner as to protect the animals and the animals to be used in these experiments will be cared for and sheltered in a suitable manner. Where there is no other option, animals can be used for testing in scientific studies. In organisations and institutions which will carry out animal testing, they will be permitted to do so by ethical committees established or to be established by them. The establishment of these ethic committees and their operating principles and procedures will be determined in a regulation to be issued by the Ministry having obtained the opinion of the Ministry of Agriculture and Rural Affairs, the Ministry of Health and related organisations. The breeding, feeding, shelter and care of test animals, the registration of enterprises who supply and use these, the qualities of the personnel employed, the records to be kept, which kinds of animals can be bred and the principles to be met by operations feeding, supplying and using test animals will be determined by a regulation to be issued by the Ministry of Agriculture and Rural Affairs. ARTICLE 10 - When being sold, the health of animals must be good and their accommodation must be clean and comply with healthy conditions. The care, feeding and transport of farm animals and arrangements aimed at ensuring their welfare and security during slaughter will be determined by a regulation to be issued by the Ministry of Agriculture and Rural Affairs. Arrangements relating to the trade of wild animals will be determined in a regulation to be issued by the Ministry. Those who produce and trade in domestic pets are obliged to take precautions in relation to necessary anatomic, physiological and behavioural characteristics in order not to endanger the health of the mother and her young. Issues relating to the commercial use of animals in film and advertisements are subject to permission. The principles and procedures relating to this permission will be determined in a regulation to be issued by the Ministry, having obtained the opinion of related organisations. An animal cannot be used in filming, demonstrations, advertisements or similar work in a manner that would cause it pain, suffering or damage. The import and export of test animals is subject to permission. This permission is issued by the Ministry of Agriculture and Rural Affairs, having obtained the opinion of the Ministry. It is forbidden to transfer, sell or receive an animal which is sick, old or lame, or suffering from pain from which it will not recover for any other purpose than to slaughter them according to procedures or to kill them humanely. ARTICLE 11 - Animals cannot be trained using methods which will cause them to exceed their natural capacity or strength, injure them, cause them unnecessary pain or encourage them to bad habits. It is forbidden to pit animals against other live animals. Traditional shows with folkloric value which do not involve violence may be organised by obtaining permission from the provincial animal welfare committee, with the approval of the Ministry. ARTICLE 12 - The slaughter of animals will be carried out, taking into account the special conditions required by religious rules, without frightening or startling the animal, in the least painful manner possible, in line with the rules of hygiene and as quickly as possible under the method used. It will be ensured that licensed persons carry out the slaughter of animals. For those who wish to make a religious sacrifice, the slaughter of animals in as quick and painless a manner as possible in line with religious provisions, hygienic conditions and environmental cleanliness, the slaughter places, the persons who are licensed to slaughter and other related issues will be determined by the Ministry in charge of the Directorate of Religious Affairs, having obtained the opinion of the Ministry and related organisations and institutions. ARTICLE 13 - It is forbidden to kill animals unless there are legal exceptions or in case of a medical or scientific necessity; and when there is no food purpose or threat to humans or the environment, pregnant, nursing, and birthing animals may not be killed. The person or organisation which is responsible for killing an animal is obliged to dispose of the animal’s corpse after it is ascertained that the animal is indeed dead, or have it disposed of. The principles and procedures relating to such killing will be determined in a regulation to be issued by the Ministry. a) To intentionally mistreat animals, to carry out a cruel and unfair action, to beat an animal, leave them hungry or thirsty, to abandon them in extreme heat or cold, to neglect their care or to cause them physical and psychological pain. c) To sell domestic pets to persons who have not received training in animal care. d) To sell domestic pets to those under 16 years of age. g) To distribute animals other than those bred for slaughter as prizes, bonuses or premiums. i) To work animals when they are ill, when 2/3 of their pregnancy is completed or when they have recently given birth, and to shelter them in unsuitable conditions. k) To force feed an animal for reasons not related to health, to give an animal food which may cause pain, suffering or damage, alcoholic drinks, cigarettes, drugs and similar food or drinks which could cause addiction. l) To produce, own, bring into the country, sell or advertise, exchange, display or make a present of an animal which constitutes a danger such as a Pitbull Terrier, Japanese Tosa, etc,. ARTICLE 15 - A provincial animal welfare committee will be convened in each province with the Governor as chairperson and for the sole purpose of protecting animals and addressing existing problems and their solutions. ı) At most two representatives of voluntary organisations operating exclusively for the protection of animals and selected with the approval of the Governor. j) A representative of the provincial or regional chamber of veterinary doctors. Where deemed necessary by the Committee Chairperson, representatives from other organisations and institutions related to the subject may be requested to attend. The provincial environment and forestry manager will act as the secretary of the provincial animal welfare committee. As a result of its efforts the committee will notify the Ministry of its main policies, strategy, implementations and opinions. If there is an organisation in a province which does not have a representative, the animal welfare committee will consist of the other members. The committee will meet at the invitation of the committee chairperson. The working principles and procedures of the provincial animal welfare committee will be determined by a regulation issued by the Ministry. j) To fulfil all duties assigned to it under legislation issued according to this Law. ARTICLE 17 - The Ministry is authorised to monitor whether the provisions of this Law are being complied with or not. Where necessary, the Ministry may assign this authority to the highest local authority via a transfer of authority. The qualities of supervisory staff and the principles and procedures relating to supervision, the establishment of a registration and monitoring system, reporting obligations and who will report will be determined by a regulation to be issued by the Ministry. Local authorities are obliged to make arrangements for the registration of domestic pets and ownerless animals. ARTICLE 18 - The title local animal welfare officer will be given to volunteers who undertake responsibility for the survival of ownerless animals, in particular cats and dogs, in the environment, areas or neighbourhoods where they are found. These officers will be selected each year by the provincial animal welfare committee from among the members of animal welfare associations and foundations or persons who have provided beneficial services in this area. Local animal welfare officers must carry their documents with them while on duty and these documents must be renewed each year. The documents of persons who are found to have been involved in negative activities will be cancelled. The principles and procedures relating to the duties and responsibilities of local animal officers, the documents to be provided to them, the cancellation of these documents and the training to be given will be determined by a regulation to be issued by the Ministry. Local animal welfare officers will carry out all their activities relating to ownerless animals in the region or neighbourhood, in particular dogs and cats, in coordination with the local authorities, to include their care, vaccination, the branding of vaccinated animals and the keeping of related records, sterilisation, the retraining of aggressive animals and their relocation to animal shelters established by the local authorities in order to be claimed by owners. ARTICLE 19 - Financial support in an amount approved by the Ministry will be provided in particular to local authorities or to other related organisations and institutions for the establishment of animal shelters or hospitals for the protection of domestic pets and the execution of care, rehabilitation, vaccination and sterilisation activities. The necessary appropriations will be made in the Ministerial budget for this purpose. The principles and procedures relating to the use of these appropriations will be determined by a regulation to be issued by the Ministry having obtained the approval of the Ministry of Finance. ARTICLE 20 - In order to promote the protection and welfare of animals, programs aimed at general and formal education should be made and broadcasting time should be reserved for these issues on radio and television programmes. Both the Turkish Radio and Television Board and the private television channels should reserve at least two hours a month and private radio stations should reserve at least half an hour a month for educational broadcasts. 20% of these broadcasts must take place at peak viewing or listening times. The Ministry of Education and the Radio and Television High Board are liable for the monitoring of the issues in this article which are related to their area of duty. ARTICLE 21 - A driver who hits and harms an animal must take them or ensure that they are taken to the nearest veterinary doctor or treatment unit. ARTICLE 22 - Management and municipalities are obliged to arrange zoos in a manner suited to natural habitats, or ensure that they are so arranged. The principles and procedures relating to the establishment and operation of zoos will be determined by a regulation issued by the Ministry having obtained the opinion of the Ministry of Agriculture and Rural Affairs. ARTICLE 23 - The Ministry of Agriculture and Rural Affairs, having obtained the opinion of the Ministry, is authorised in relation to all types of permission and transactions relating to the trade of domestic pets which come within the scope of this Law, their import and export and their removal from or bringing into the country in any manner whatsoever. The related units of the Ministry of Agriculture and Rural Affairs will provide the Ministry with information on imports and exports executed during the year. ARTICLE 24 - Persons who act in breach of the provisions of this Law relating to animal welfare and who in this manner seriously neglect the animals in their care or cause them pain, suffering or damage will be banned from keeping animals by the supervisory authorities and the animals will be seized. The said animals will be given to new owners or taken into care. ARTICLE 25 - The administrative monetary fines set forth in this Law will be imposed by the supervisory authorities indicated in article 17 of this Law. ARTICLE 26 - Proceedings against administrative monetary fines can be lodged with the administrative courts within fifteen days of notification of the fine. The lodging of proceedings does not halt the fulfilment of the fine imposed by the administration. The decision of the administrative court on this issue is final. ARTICLE 27 - The payment period for administrative monetary fines is thirty days from the date of notification of the fine. The monetary fines imposed by the authorised agencies in a receipt printed and distributed by the Ministry will be paid to the highest collection office of the locality. 80% of the money paid will be transferred to the related municipality during the following month. This money is regarded as allocated and cannot be used for other purposes. The principles and procedures relating to the format, distribution and control of the receipts to be used for administrative monetary fines imposed under this Law will be determined by a regulation. a) An administrative monetary fine of two hundred and fifty million Turkish Lira per animal for those who act in breach of the provision of the second sentence of paragraph (k) of article 4.
b) An administrative monetary fine of fifty million Turkish Lira per animal for those who act in breach of the provisions of the first, second, third and sixth paragraphs of article 5 by failing to comply with the bans and obligations relating to the ownership and care of animals or failing to take the necessary precautions, and of one hundred and fifty million Turkish Lira per animal for those who fail to comply with the bans and obligations in paragraph 7.
c) An administrative monetary fine of five hundred million Turkish Lira per animal for those who act in breach of the first paragraph of article 6.
d) An administrative monetary fine of one hundred and fifty million Turkish Lira per animal for those who act in breach of the provisions relating to surgical interventions set forth in article 7.
e) An administrative monetary fine of seven and a half billion Turkish Lira per animal for those who act in a manner that could cause the extinction of an animal species as set forth in the first paragraph of article 8; an administrative monetary fine of one and a half billion Turkish Lira for those who fail to comply with paragraphs two, three and four. f) An administrative monetary fine of two hundred and fifty million Turkish Lira per animal for those who fail to comply with article 9 and the issues contained in the regulations issued; an administrative monetary fine of one billion Turkish Lira per animal for those who carry out unauthorised animal testing. g) An administrative monetary fine of two billion five hundred million Turkish Lira for those who do not obtain permission for the trade of animals, as specified in article 10, and who do not comply with the related bans and regulatory provisions. h) An administrative monetary fine of one billion two hundred and fifty million Turkish Lira for those who act in breach of the bans relating to education in the first paragraph of article 11, an administrative monetary fine of one billion two hundred and fifty million Turkish Lira per animal for those who act in breach of the second paragraph. ı) An administrative monetary fine of five hundred million Turkish Lira per animal for those who act in breach of the first paragraph of article 12; an administrative monetary fine of one billion two hundred and fifty million Turkish Lira per animal for those who act in breach of the second paragraph. j) An administrative monetary fine of five hundred million Turkish Lira per animal killed for those who act in breach of the provisions of article 13; an administrative monetary fine of one billion, two hundred and fifty million Turkish Lira per animal killed where the breach is committed by the management. k) An administrative monetary fine of two hundred and fifty million Turkish Lira for those who act in breach of paragraphs (a), (b), (c), (d), (e), (g), (h), (ı), (j) and (k) of article 14; an administrative monetary fine of two billion five hundred million Turkish Lira per animal for those who act in breach of the paragraphs (f) and (l), and slaughtered and live animals will be seized. l) Radio and television stations are fined five billion Turkish Lira for violations of Madde 20.
m) An administrative monetary fine of two hundred and fifty million Turkish Lira per animal for those who act in breach of article 21.
n) An administrative monetary fine of six hundred million Turkish Lira per animal kept under inappropriate conditions in zoos for those who do not comply with article 22.
o) An administrative monetary fine of two billion five hundred million Turkish Lira per animal for those who act in breach of article 23. If the actions in paragraphs one, two and five of article 5, as referred to in paragraph (b) of this article, and actions apart from paragraph (n) are carried out by a veterinary doctor, a veterinary health technician, an animal welfare volunteer, a member of an animal welfare association or foundation or persons appointed to round up, supervise, care for or protect animals, the fine to be imposed will be doubled. The monetary fines set forth in this article will be applied after being increased by the annual revaluation rate identified and announced according to the provisions of article 298 of the Tax Procedures Law no. 213, dated 04.01.1961, and valid from the beginning of that calendar year. ARTICLE 29 - If any of the actions set forth as a crime in this Law are at the same time viewed as crimes under other laws, the legal provision requiring the heaviest punishment will be applied. Those who by their actions breach more than one provision of this Law will be penalised with the heavier punishment. ARTICLE 30 - If actions which have been penalised under the provisions of this Law are repeated, the monetary fines to be imposed will be doubled and for further repetitions tripled. ARTICLE 31 - The provisions of the Territorial Hunting Law no. 4915, the Animal Health and Police Law no. 3285, the Animal Amendment Law no. 4631 and the Water Products Law no. 1380 are reserved. PROVISIONAL ARTICLE 1 - Of the animals indicated in paragraph (l) of article 14 of this Law, the owners of those who have been brought into the country before this Law came into effect must notify these to animal welfare committees within three months and have them registered, and they must provide documents showing whether they have been sterilised or not to the provincial animal welfare committee within six months. PROVISIONAL ARTICLE 2 - The regulations which are to be issued under this Law will be prepared within a year of the coming into effect of this Law. ARTICLE 32 - This Law comes into effect on its date of publication. ARTICLE 33 - The provisions of this Law will be executed by the Council of Ministers.